Diversified property group Australand has secured several new office tenants in suburban Melbourne. 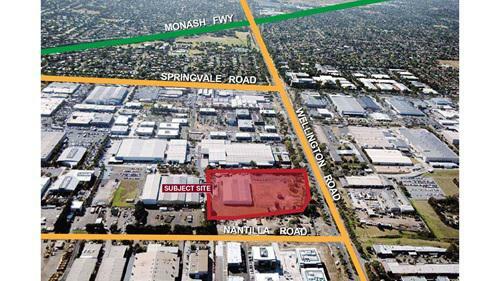 The Australian Financial Review reported that the property group had locked in a 12-year lease from Repco at Australand's Stamford Business Estate on Stud Row in Rowville. Australand will design and construct the $20 million 4,000sqm office building, which will be completed late next year. Australand has also signed up Monash University as a tenant at its new Mulgrave estate, a joint venture with Commercial and Industrial Property, at 212 Wellington Roadon Wellington Road. The university has invested in 7,825sqm of a 12,718sqm seven-storey development,Also at the Mulgrave estate, Mazda Australia has signed a pre-lease for the design and construction of its new national headquarters, which will feature a two-storey office, showroom and warehouse development. Mazda's lease is for an initial period of 10 years. General Manager for Commercial and Industrial in the Southern Region Anthony Maugeri told the AFR that deals demonstrated the market's "appetite for high-quality business park space with good amenity and access to transport".